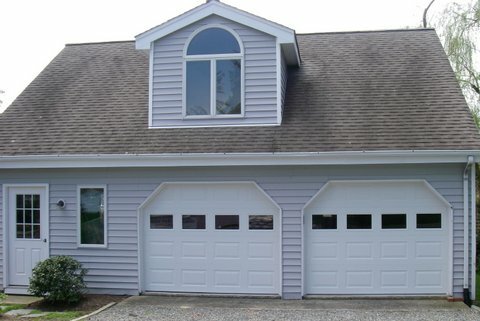 Affordable Garage Doors LLC offers fast and affordable garage door installation services to homeowners throughout Anne Arundel County and Calvert County. As factory authorized dealers of Clopay doors, we offer sales, service and installation of some of the best garage doors made today. If you’re thinking of replacing your garage door, we can help. Whether your old one doesn’t work properly or you’re planning on upgrading your garage door, we have everything you need. Today’s new garage doors come in a vast array of styles and colors, with just as many or more window styles to choose from. Insulated doors are a really good choice if you’re concerned about temperature control and energy efficiency. And then of course, there’s the material. Our doors are available in wood, steel, vinyl and aluminum. We’ve found steel garage doors to be a durable, low maintenance option that suits the needs of most homeowners, while fitting within their budget and desire to perform home maintenance. Have questions about the different types of garage doors and which one would work the best and look the best at your home? Check out this buyer’s guide to garage doors for some ideas. New garage doors create instant curb appeal, but getting garage doors that don’t really fit with the house or the neighborhood could be a negative. Do your research to make sure you get garage doors to enhance your home. We are factory authorized dealers for LiftMaster, and offer professional garage door opener installation of all of their products and accessories. If you are getting a new garage door, get a quality garage door opener to go with it. We highly recommend their products for their quality and durability. Of course, we will repair and service any make and model of garage door opener you might have. We install many different garage door Accessories. Garage door openers, entry keypads, control panels, as well as internet gateways. We also install devices that will enable you to use your smartphone to open the garage. If we are replacing an existing garage door opener, we will take that down and remove all of the accessories. We will also take the debris with us when we leave. Most garage door installation projects can be finished in a day. Garage door opener installation takes considerably less time, of course. Call Affordable Garage Doors or contact us today to find out why we are the most trusted garage door company in the Annapolis area. We proudly offer affordable garage door repair and garage door installation services to Calvert County and Anne Arundel County residents.